How to Make Tires Last Longer & Prevent Dry Rot | Gold Eagle Co.
With proper storage and treatment, you could make tires last for 10 years from the date of manufacture. 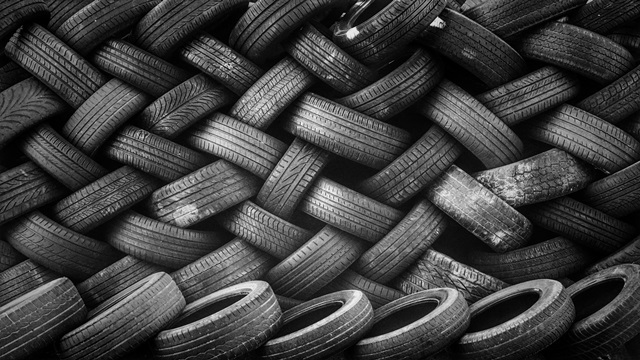 If you buy unused tires that are four years old, you’ll still get six years out of them, if you keep the maintenance up on your tires. Keep reading to find out how to make your tires last longer! Tires are getting more expensive all the time, and with manufacturers now using larger tires (up to 24 inches) as opposed to standard 14- and 15-inch tires, the price is even higher. Instead of shelling out $1,000 or better every few years, learn how to make tires last longer. The more you take care of your vehicle’s tires, the less chance you have of getting a blowout or a flat, and the longer the tires will last. Of course, if you run over a nail or a piece of glass, that doesn’t count. However, tires dry rot, which causes cracks in them, and they will likely go flat at the least convenient moment. Be sure to check the tire pressure at least once per month. Tires that are low on air decrease gas mileage and wear out sooner on the outside of the tire. Tires that have too much pressure will wear out in the center faster. In both cases, you’ll be adding extra stress on the sidewalls, which causes premature wear. Because tires are not air-proof, they generally lose about a pound of pressure per square inch every month. Cold temperatures also cause lower air pressure. And, in the summer, the warmer temperatures increase the air pressure. 2. Balance and rotate the tires. Every 5,000 miles have your vehicle’s tires balanced and rotated. Whether you have “one wheel peel,” positraction or all-wheel drive, the tires will wear unevenly (the drive tire or tires wear faster than the rest of the tires). Rotating the tires keeps the drive tire or tires from wearing out faster than the rest of the tires. Every tire and wheel has a heavy spot that needs to be balanced. The technician puts the tire on a balancer and adds weights to the rim to ensure that the wheel spins in a perfect circle. Unbalanced tires cause vibration in the tires, which you can feel in the steering wheel at certain speeds. It also increases wear and tear on the tires, suspension, and steering. As a tire wears, the placement of the weights may have to be moved, so it’s important to balance the tires every 5,000 miles. Always be sure to check the alignment at least once a year, unless you hit something such as a huge pothole or a curb. If the tires are not aligned properly, they will wear unevenly. You’ll see wear patterns on just one side of a tire if the alignment is uneven. Plus, the vehicle will pull to the left or right, depending on which side is out of alignment. 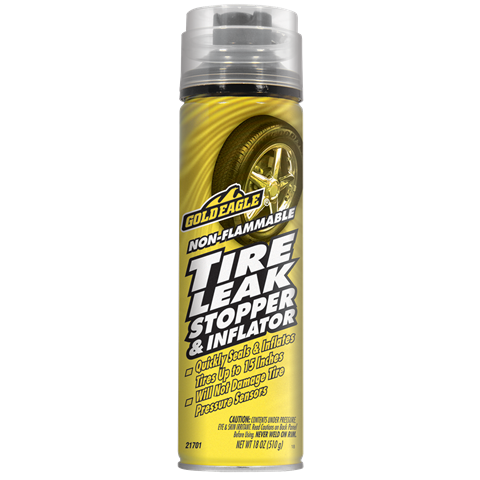 Pick up Gold Eagle® non-flammable tire leak stopper & inflator. It’s a good idea to keep a can of this in each of your vehicles for tire leak repair in the event that you get a flat while on the road. This product will stop a leak caused by a foreign object that is stuck in the tire, such as a nail, as long as you don’t pull the offending object out. If your vehicle’s tires are dry rotted, the tire stop leak will inflate the tire and allow you to get your vehicle to a repair shop for new tires — you’ll save money on the tow bill and you’ll save time waiting for the tow truck to show up. With this product, you won’t have to change your tire on the side of the road.